When an adult deliberately hurts a child, such as hitting, shaking, throwing, poisoning, burning, drowning, or suffocating. When one adult in a family or relationship threatens bullies or hurts another adult e.g. physically, psychologically, emotionally, sexually or financially. If you or a child are in immediate danger, call 999. A concern about the safety of a child can also be reported to the school’s Designated Safeguarding Lead (see Safeguarding page) or through Early Help Hounslow. Information, support and guidance is also offered by a number of local and national organisations, some of which are listed below. A more comprehensive list can be found on the Hounslow Safeguarding Children Board‘s website. A free, private and confidential service for young people aged 19 and under. Advice and support can be given on a range of issues by calling 0800 1111 (24 hours a day, 7 days a week) or through online chat via the website. The NSPCC Helpline can be contacted free of charge 24/7 if you’re worried about a child (even if you’re unsure). Concerns can be discussed with a professional counsellor who will offer help, advice and support. Call 0808 800 5000 or email help@nspcc.org.uk. A great resource for both parents and children providing information and a variety of online resources to help keep safe online and when using mobile technology. A freephone helpline offering support and advice to women. All calls are completely confidential and there is a translation service available for women whose first language is not English. Call 0808 2000 247 (available 24 hours a day). 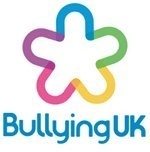 A website with lots of information for parents and children on different types of bullying, including cyberbullying. The Department of Culture, Media and Sport has published a practical guide for parents are carers whose children are using social media. The guide includes practical tips about the use of safety and privacy features on apps and platforms, as well as conversational prompts you can use with your children to help you begin to talk about online safety. It can be accessed by clicking below. Further useful information about online safety can be found on the NSPCC website.